Browse: Home / 2018 / June / 23 / Claressa “T-Rex” Shields & Christine Hammer Win Continuing on a Collision Course! Claressa “T-Rex” Shields & Christine Hammer Win Continuing on a Collision Course! 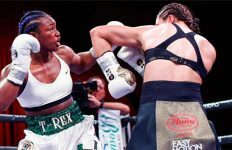 Salita Promotions over USA Showtime brought two of the best female middleweights in the world in separate title defenses Friday night at the Masonic Temple, in Detroit, MI. 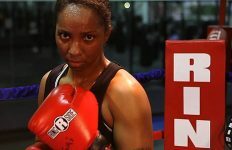 2-time Olympic Gold Medalist Claressa “T-Rex” Shields, 6-0 (2), of Flint, MI, the IBF and WBC Super Middleweight champion came off the canvas in the opening round to win two vacant belts in the IBF and WBA Middleweight division over the WBA and WBO World Female Super Welterweight champion Hanna “La Amazona” Gabriels, 18-2-1 (11), of Alajuela, Costa Rica, over 10 rounds. In the first round Gabriels threw a right but was countered with a right to the chin. A clash of heads caused swelling on the left cheek of Gabriels. A right uppercut from Gabriels on the chin of Shields dropped her. 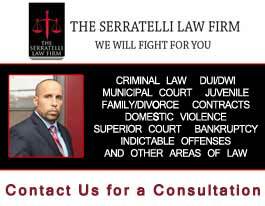 She beat the count of referee Garard White at 8. In the second round it was a close round as Gabriels moved well and would attack Shields who had a better second round. In the third round Gabriels with hands low got hit with a Shields right to the chin. Gabriels came back with a left hook to the head in another close round. In the fourth round Shields continues to load up too much. Gabriels bounced around staying loose. Shields landed to rabbit punches ending the round while referee White warns her after the bell. In the fifth round Shields countered Gabriels with a right to the head. Shields landed a 3-punch combination with a minute left in the round. Gabriels looks winded at the end of the round. In the sixth round at the halfway mark Shields landed a solid right to the chin driving Gabriels into a neutral corner. With under 30 seconds left in the round Gabriels landed a 3-punch combination. Shields landed a solid pair of right’s to the chin just prior to the bell. In the seventh round Gabriels landed a right to the ribs followed by a right to the chin of Shields. 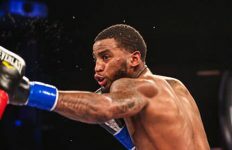 In the eighth round both boxers slow the action with Shields landing a left hook to the chin of Gabriels. Once again there was a clash of heads. In the ninth round at the halfway point both fighters flurried with the best action of the fight. Shields landed a hard right to the head with seconds to go in the round. In the tenth and final round Gabriels is forcing the action but Shields is countering her well. The final round was the best round of the fight. Shields landed 3 punches then Gabriels came in with her head. An accidental clash of heads caused a small cut under the left eye of Shields. Scores were 98-91 and 97-92 twice This writer had it 95-94. In the co-feature WBC & WBO World Female Middleweight champion Christina “Lady” Hammer, 23-0 (10), born in KAZ, living in Dortmund, Germany, easily defended her title successfully defeating the former IBF and WBC World Female UBF and IBA World Welterweight champion Tori “Sho Enough” Nelson, 17-2-3 (2), of Chase City, VA, over 10 rounds. In the first round the much taller Hammer used an effective jab. The jab of Hammer has power behind it. The 41 year-old Nelson was too defensive. Best part of the round was a 4-punch combination from Hammer to the head of Nelson. In the second round Hammer continues to dominate the fight with Nelson landing an occasional right hand to the head of Hammer. In the third round Hammer lands a pair of rights followed by a left to the mid-section. With a minute left in the round Nelson lands a right to the head of hammer who counters her with a flurry of punches. In the fourth round Hammer continues to dominate the much shorter Nelson. Her jab continues to control and she lands enough power punches with her right to win round after round. In the fifth round Hammer continues to move well keeping the fight in the middle of the ring for the most part. In the seventh round Hammer kept Nelson at bay except for a few rushes to get inside. 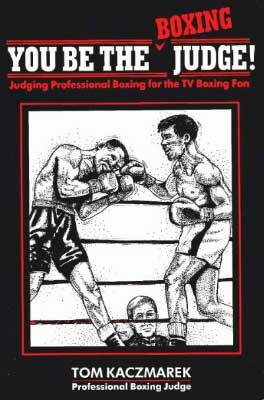 Hammer pushed Nelson into the ropes as referee Garza just looks on. With half a minute left in the round Hammer landed a good 3-punch combination to the head of Nelson. In the eighth round Hammer landed a leaf right to the head of Nelson. Hammer rarely leads with her right instead of her jab and would like to score a knockout since Nelson has never been knocked down. In the ninth round Hammer is warned about holding behind the neck of Nelson. Inside the final minute both boxers landed right hands at the same time to each others chin. In the tenth and final round it’s all Hammer until a minute to go when Nelson lands a lead right to the chin of Hammer. Hammer did more clinching in the final round than at any other time in the fight. Scores were 100-90 twice and 99-91 while this writer had it 100-90. “I wanted a knockout but she is a tough fighter and I am still the champ. I want to fight the winner of tonight’s main event,” said Hammer. “I felt I may have landed more punches but she was too strong. I am still super welter champ,” said Gabriels. “I am the best in the world of all time (her opinion) winning every round after the knockdown,” said Shields. Unfortunately when Hammer entered the ring Shields showed her immaturity yelling and causing an ugly scene with too many people in the ring at the time. 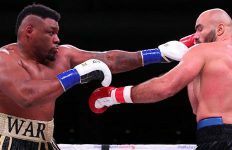 Russian Light Heavyweight Umar Salamov, 21-1 (16), of Henderson, NV, stopped Brian Howard, 13-2 (10), of Atlanta, GA, in the ninth round for the vacant IBF North American Light Heavyweight title. In the first round it was a battle of jabs. Few right hands were thrown in this “sparring session”. In the second round with a minute left Salamov landed his first combination. With half a minute left in the round the 38 year-old Howard hurt Salamov with a right near the back of the head as Salamov was moving away. Inside with ten seconds to go Howard landed a right uppercut to the chin of Salamov. In the third round the awkwardness of both fighters looks like a pair of amateurs. The referee is allowing them to do whatever they want hitting behind the head telling Howard not to duck for that is why it’s happening. Salamov also uses an illegal “straight arm” ala Larry Holmes. In the fourth and fifth rounds it’s more of the same. In the sixth round Salmov landed a slapping roundhouse to the head of Howard at the mid-point of the round. It’s been jab’s, straight arms and rabbit punches. There is very little to say as the fans are getting restless. The Howard corner is trying to get Howard to throw punches. In the seventh round Howard continues to “pose” except inside he lands an occasional right uppercut to the chin of Salmov. Howard continues to pull up on his trunks. With seconds to go in the round Salmov missed with a right and Howard countered with a right hand knocking the head of Salmov back. The rounds are close but Salmov seems to get the edge. In the eighth round the jabs continue with plenty of misses from right hands. With seconds to go Salmov lands a right and follows with a left to the head of Howard. In the ninth round a chopping right hand from Salmov to the chin with drops Howard as Salmov lands a left as Howard takes the full count. This writer had it 79-73 for the winner through 8 rounds. Sam Williams was the referee.